Imagine if you had access to unpublished notes of one of the world’s greatest sports coaches that included his or her guidelines to Olympic success. Or, as an industrial spy, you learned the proprietary secrets that had allowed your competitors to outsmart you. This may explain some of my excitement when I read Ray Hayward’s “field notes” from his years of dedicated study with Master T. T. Liang (梁棟材). The reader should remember that this is oral tradition, words based on both experience and the perceived needs of the student. Don’t expect the chiseled perfection of a textbook nor the entertainment of a novel, though Master Liang’s dry humor will sometimes have you in stitches. These are words that need to be acted on, put into practice, not stored away for “headucation.” For students of T’ai-Chi 太極拳, this is the most valuable form of literature, similar to the hand-written manuals that, in ancient China, were given only to the most promising students. When students become teachers, most keep such manuals or notes secret, giving them perhaps a technical and financial edge over other schools. Many boost their egos by keeping students in the dark or implying that there is a light at the end of the tunnel. But the tunnel may take twenty years to cross. Ray Hayward, because he is a teacher with wisdom and maturity, has decided to make his notes public. He knows that the only real secret is “practice.” The notes will remain secret if you don’t put them into practice. But if, on the other hand, you master the teachings, then you honor both Master Ray and the Masters who came before him. Like love, real wisdom grows when it is shared. I will never forget my own all-to-brief experience with Master Liang. I was introduced by one of his other senior students, Paul Gallagher, my T’ai-Chi colleague and friend. In response to a delightful conversation about push-hands and T’ai-Chi applications, the 80 year-old master agreed to demonstrate one of his many gong, unique skills. I knew I was being honored because a teacher like Master Liang is not interested in impressing people with his ability,but rather in fostering your ability. “I want my students to be better than I am,” he says. Yet, sometimes a demonstration inspires the student to reach new heights. Master Liang asked me to stand in my most stable stance. I assumed a T’ai-Chi bow stance, one leg in front of the other with a comfortable length and width. My front foot pointed straight ahead, my rear foot at a 45-degree angle. My weight was shifted to the front leg, knee bent and aligned with the toe, back straight, whole body rooted into the ground. I had used this posture before to maintain balance even when pushed by 250 pound human battering rams! Certainly I could be confident in providing resistance to a lightweight old man. Master Liang assumed a similar stance directly facing me, left leg forwards. He raised his left arm to a rounded “ward-off” position at the height of his sternum. His left wrist was resting gently against my chest. He then placed a chopstick that he had whittled to a sharp point at both ends between his wrist and chest, so that it was held horizontally in place. I already knew what was coming. Master Liang made a slight rolling movement, dipping and rising a few inches. I was thrown back several feet and hit a mattress standing on the nearby wall with my feet at least a foot off the ground. He had not dropped the chopstick, demonstrating that only body power was used—no push from the arm. And when he removed the chopstick, he showed me his wrist—the chopstick had not left a mark. This means that neither my weight nor my root had caused his arm to press towards his chest. As the T’ai-Chi Classics say, “The energy begins at the feet, rises through the legs, is controlled by the waist, and manifests in the hands.” Master Liang had used his perfect posture and absolutely stable frame to transmit the force generated by his feet pressing the ground. It was the ground that was pushing me, amplified by Master Liang’s superb understanding of body mechanics and qi. Not only was I unhurt. I was exhilarated and ready to train harder. I thanked Master Liang for his kindness. I am certain that Master Liang, with his characteristic insight, leaves some information slightly veiled, so that the student will have to train sufficiently to understand and earn what he or she learns. As Confucius said, “If I hold up one corner of the paper, and you don’t show me the other three, I stop the lesson.” Or, there is a Taoist saying, “Knowing when to stop is wisdom.” Let me give you two examples, based on my surely limited understanding. Master Liang explains the meaning of three technical terms: T’ing-Chin 聽勁, Tung-Chin 慟勁, and Shen-Ming 神明. “In Ting-Chin (hearing energy), you feel the muscles stir before your opponent pushes. 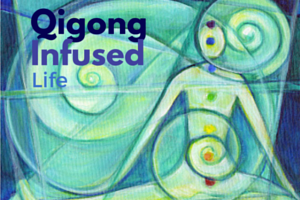 In Tung-Chin (interpreting energy), you feel the ch’i stir. 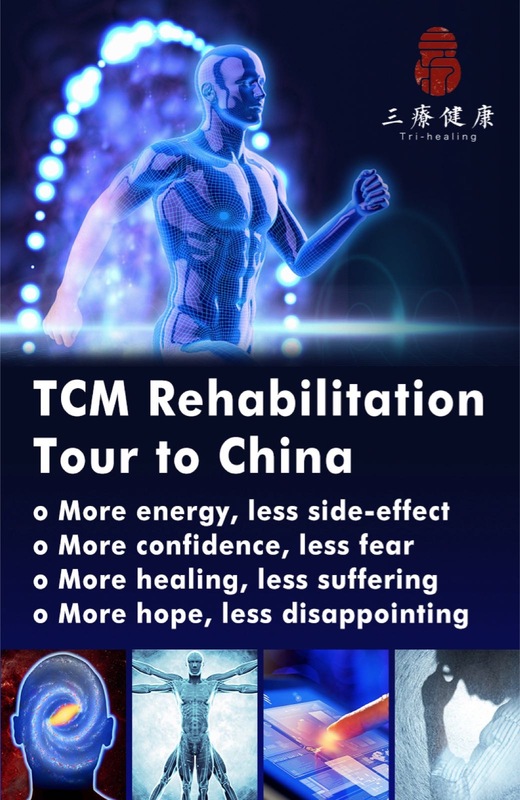 In Shen-Ming (spiritual insight), you feel their mind stir.” Each of these stages obviously requires a greater level of physical, energetic, and even spiritual sensitivity. It is the secret of a saying from the T’ai-Chi Classics, “If the opponent doesn’t move, I don’t move. But if the opponent makes the slightest move, I move first!” How can you move before the opponent? You must catch his/her intent. Now we have the secret, but it is up to us to learn how to diligently train and master it. Master Liang’s k’ou chueh, oral teachings, contain a perennial wisdom. That is, the lessons go beyond the sphere of T’ai-Chi and have relevance to human issues in general. 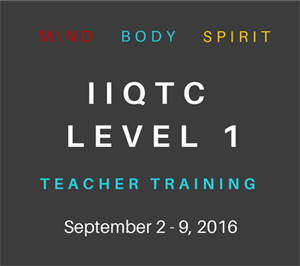 “I am teaching you to yield. I try to intimidate you. If you laugh, you win. If you get angry, I win.” Liang sees T’ai-Chi as a way of changing one’s temperament, but marriage, he tells us, is even better. You can avoid T’ai-Chi, but you cannot avoid the everyday lessons you receive from your spouse. Hayward’s book reminds us that life is the best teacher, and T’ai-Chi is a natural part of life. We are all students; we are all teachers. For Master Liang, “Everyone is my teacher, that’s all. I don’t want to be a teacher myself, everybody is my teacher.” I am reminded of a passage in the Hindu scripture, the Bhagavad Gita. The warrior Arjuna does not call God’s incarnation, Krishna, his “teacher,” but says, rather, “I am your disciple.” A scholar commented, “To a true disciple, everyone and everything is the teacher.” In accord with this philosophy, Liang neutralized challenges and avoided fights with an attitude of “You are the best, please be my teacher. The trouble is neutralized.” Fools may actually believe that they are thus Liang’s teacher. But that is their problem! 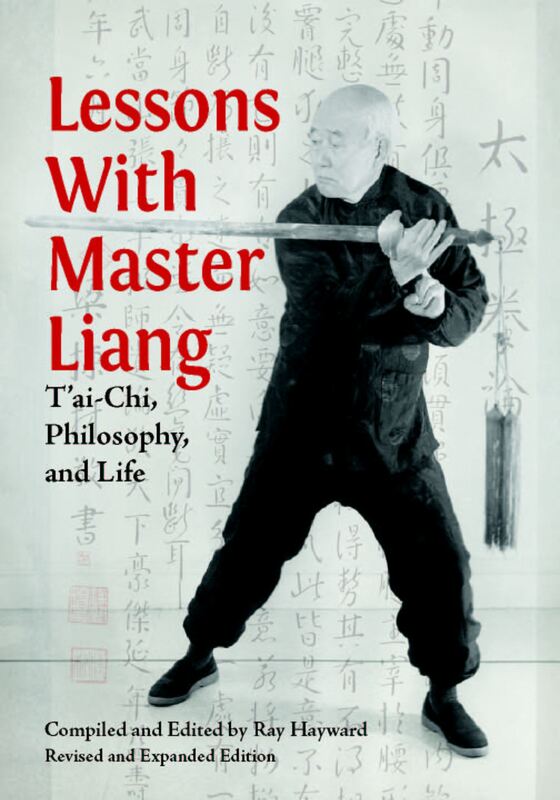 Master Liang had many masters and continued to learn and teach throughout his lifetime. He “retired” several times, but then, compelled by eager students, he would start teaching again. My favorite anecdote about Liang’s philosophy of lifelong learning concerns my own teacher B. P. Chan. Master Liang was visiting New York City and decided to stop by the studio of his respected colleagues, Masters William C. C. Chen and B. P. Chan. At the time, Master B. P. Chan had just finished teaching an intermediate marital arts class. After introducing the students to Master Liang, Master Chan, asked Master Liang, in all sincerity, “Please Liang Lao shih (Teacher) would you give me a brief lesson, a few pointers?” Liang tried to refuse, perhaps not wanting the teacher of this school, to lose face or appear inferior to a visiting master. B. P. Chan’s students were dumbfounded. Chan, seeing the expression on their faces, chastised them. “What’s wrong with you? Do you think that I or anyone else knows everything? A fountain of wisdom like Master Liang is here and you don’t want to avail yourself of the opportunity? I am ready for a beginner’s class!” Hearing this story, I said inwardly “P’ei Fu, P’ei Fu” Bravo, Bravo. 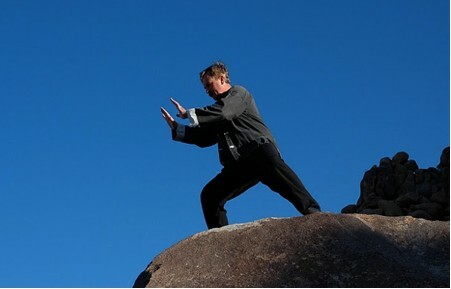 In 2002, Master Liang passed on to the Tai Chi Paradise he so often visited. He was 102 years old. Now thanks to this book, you can continue to train with him. He hasn’t retired yet. This entry was posted in From the Master and tagged Kenneth S. Cohen, Lessons with Master Liang, Master Liang, Ray Hayward. Bookmark the permalink. Incredible article. I can see that you know what are you writing about. I`m looking forward to read some more. Thank you for making the honest attempt to explain this. I feel very sturdy about it and would like to learn more. If it’s OK, as you attain extra in depth wisdom, might you thoughts including extra posts similar to this one with additional info? 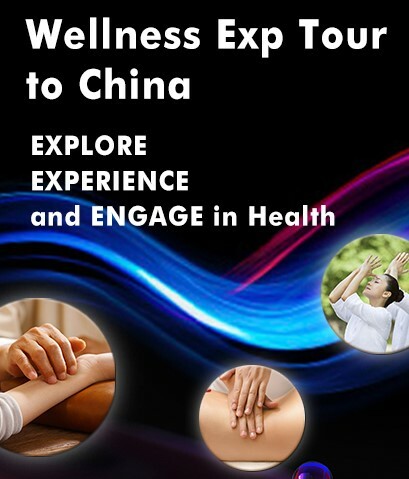 It will be extraordinarily helpful and useful for me and my colleagues. particularly fine work. i certainly like that new perspective introduced appropriate here. i just ask your self the way the global power strugle may effect most this. Uhhgggg, I spent 30 minutes trying to get this right. Thank you again! Ordinary this publish is totaly unrelated to what I was searching google for, nevertheless it was once listed on the first page. I suppose your doing one thing proper if Google likes you adequate to put you on the first page of a non related search. Excellent points?I would word that as somebody who actually doesn’t write on blogs much (in truth, this may be my first publish), I don’t suppose the time period ‘lurker’ could be very changing into to a non-posting reader. It’s now not your fault in the least , but in all probability the blogosphere could get a hold of a better, non-creepy name for the ninety% folks that revel in reading the content material . Excellent issues?I would note that as any person who actually doesn’t write on blogs so much (in fact, this can be my first publish), I don’t assume the time period ‘lurker’ is very changing into to a non-posting reader. It’s now not your fault in the least , but possibly the blogosphere may come up with a greater, non-creepy title for the ninety% people that revel in studying the content .